Aren’t you tired of the smog, the pollution and the concrete jungle you seem to be living in? Yes, most of you are and we are sure you would jump at the chance to leave all the stress behind for a few days. Check out this trip to a pretty hamlet Mawlynnong, Meghalaya that is rose to fame in 2003 when it was conferred the status of the cleanest village in Asia. Don’t wait to take a trip down this mesmerizing village, with Kesari Tours, if for nothing else then to know how they manage to keep their village clean, which is not an easy task. 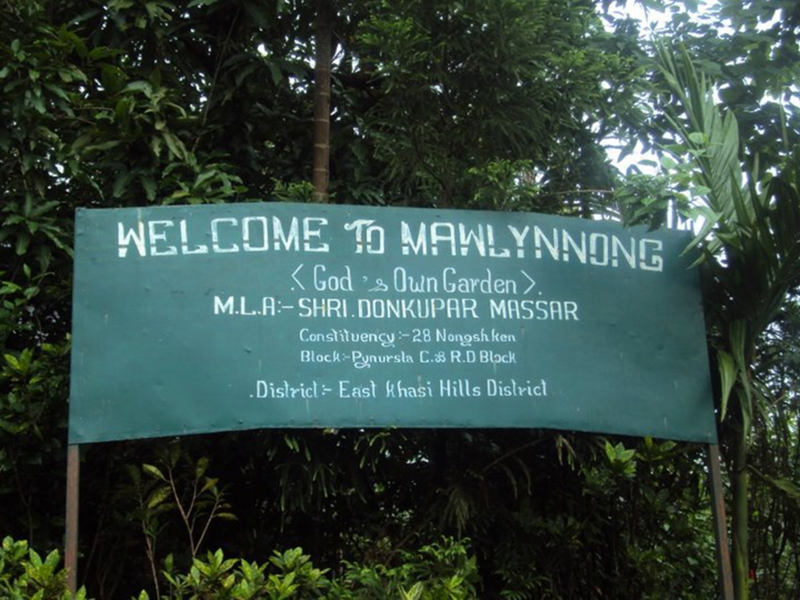 Mawlynnong, the cleanest village in Asia, is in the East Khasi Hills of Meghalaya. 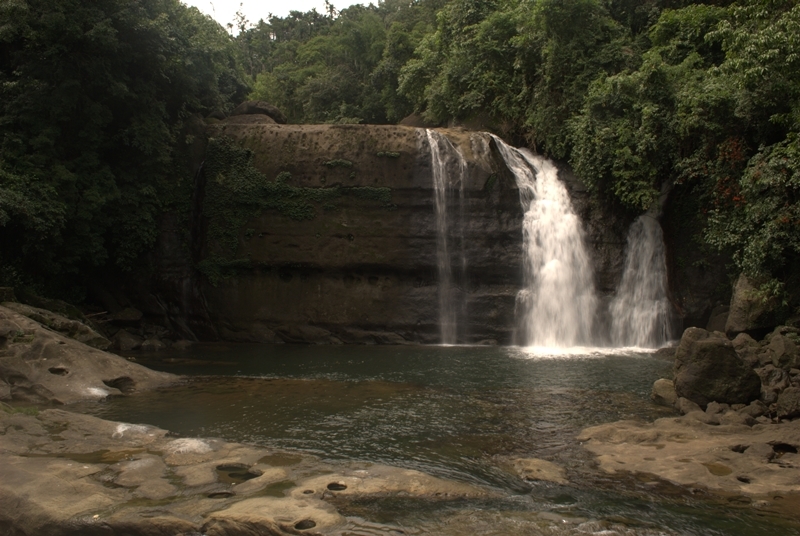 It is about 100kms away from Shillong. The literacy rate in this village is 100% (so my friend language is not an issue) and the village believes in women empowerment (kudos to us). A walk through the streets of Mawlynnong will mesmerize you, as almost every house has its own itsy-bitsy kitchen and flower garden. 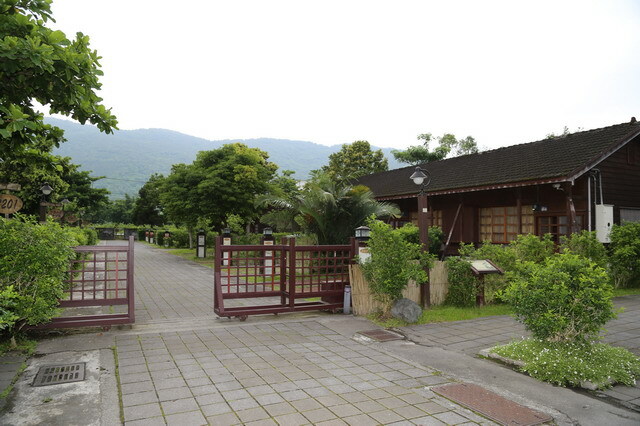 The villages that spread over acres of the area are surrounded by beautiful orchards and flowers. The locals are incredibly charming, friendly and creative, which is why you will see they have decorated their village with natural stones and shrubs. Many such things like the lush greenery, the pretty thatched roof homes often built on stilts and the gently gurgling waterfalls make for a striking panorama. It’s a smoke-free village (believe me heavy fines are levied if you get caught) with beautiful bamboo dustbins strategically placed all over the village. The villagers have a simple way of living their life and cleanliness is an old tradition there. One of the most incredible things about this village is that they follow matriarchal society (you know where the kids follow their mother’s surname). The best season to visit this village is monsoon as the whole village will be covered with greenery, flowering orchids and of course the waterfalls which make its way through the village. 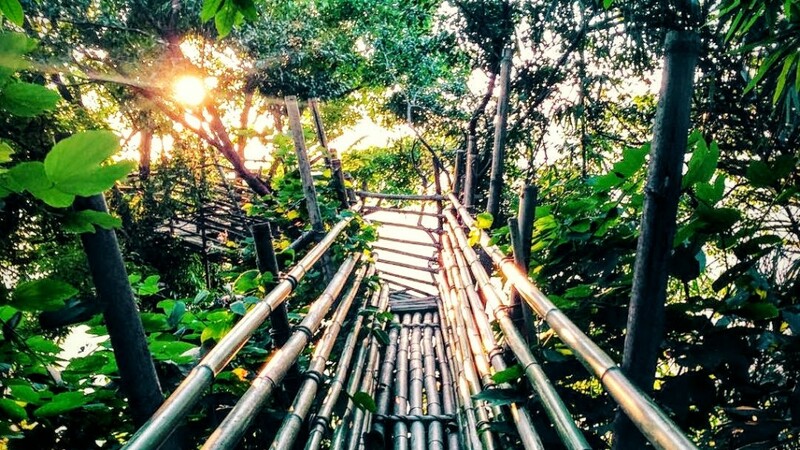 Sky view or skywalk, which is an 85-feet viewing tower is one of the major attractions of Mawlynnong. You can get a 360-degree view of the village and the Indo-Bangladesh Border. The best thing is that this tall structure is made from of bamboos. How cool is that, right? 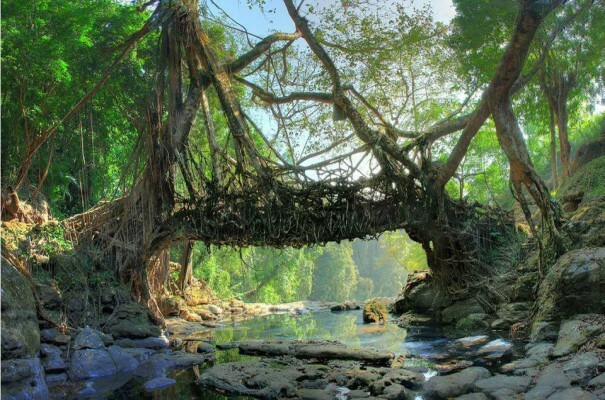 You can take a walk further down the village and see the fascinating Living Root Bridges, which are made from twisted roots of a gigantic rubber tree, you can go hiking through the forest for several hours to witness the most spectacular natural bridges. 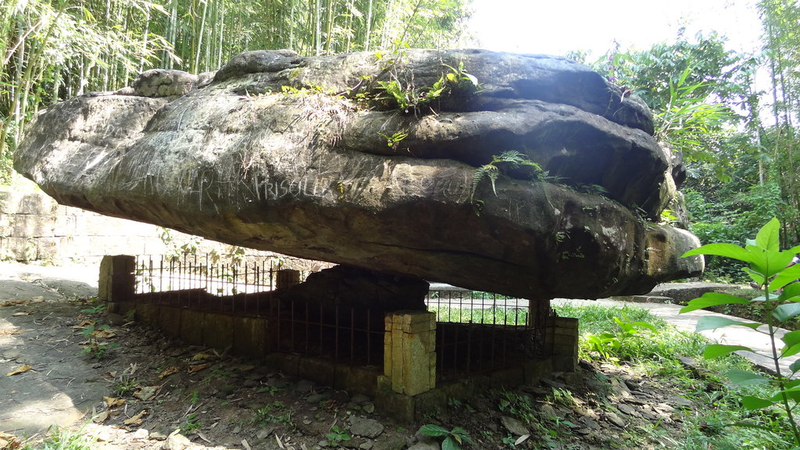 Another tourist attraction in this village is a large boulder that is balancing on another tiny rock. What’s more this weird scene is a natural phenomenon.